Tickets are available for purchase via phone, online, or in person at the Box Office. Please note that listed prices do not include applicable fees. Ticket Prices are subject to change without notice. 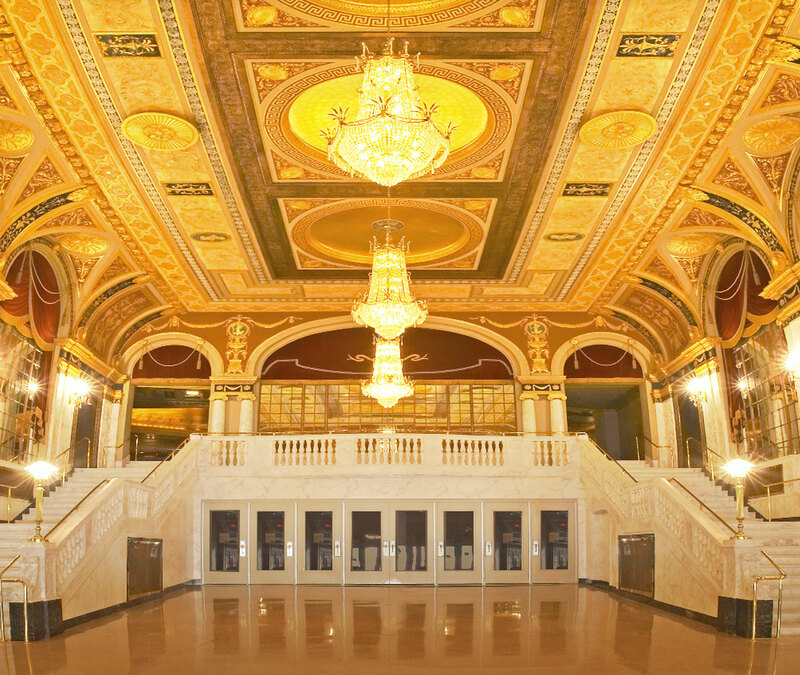 Everyone attending performances at The Palace Theater must have a ticket, regardless of age. Once your order has been processed, no refunds or exchanges will be accepted. Please make sure you’ve selected the proper event time, venue, and seat locations (when applicable) prior to completing your order. We are not responsible for lost or stolen tickets. If an event is cancelled a refund will be issued. If a performance is cancelled, information will be posted on www.palacetheaterct.org and the following radio and television stations will be notified: WTIC AM (1080) and WFSB TV 3. If a show is cancelled or postponed, customers may exchange to another performance (subject to availability), receive a credit on their account, or request a refund. Please note: All programs, cast, dates and times are subject to change. Lost tickets can be re-printed at the box office with a valid ID on the day of the event with a $2.00 per ticket processing fee.